People of state or national significance. Places of state or national significance. Events of state or national significance. The marker program is administered by the State Historical Society of North Dakota, however, all costs, including production, installation, and maintenance of a historical marker are the responsibility of the applicant or sponsor of the marker. 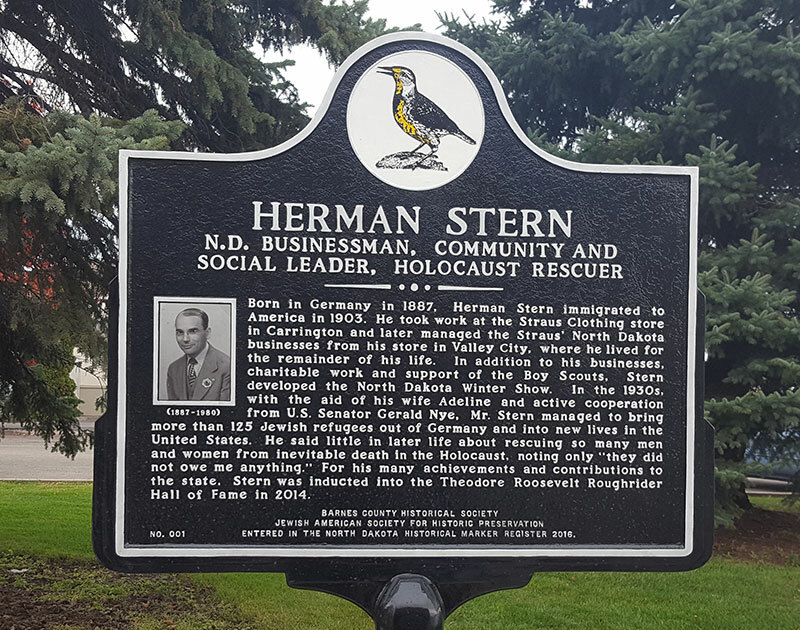 The marker commemorates the life and work of Herman Stern, a Jewish emigrant who moved to North Dakota in 1903 and began a successful business career in Carrington, Casselton, and later Valley City. In the 1930s, with the aid of his wife Adeline and active cooperation from U.S. Senator Gerald Nye, Mr. Stern managed to bring more than 125 Jewish refugees from Germany to new lives in the United States. For his many achievements and contributions to the state, Stern was inducted into the Theodore Roosevelt Roughrider Hall of Fame in 2014. This marker was entered in the North Dakota Historical Marker Register as marker #1 in 2016. This marker commemorates the importance of Jewish settlers in the Red River Valley of North Dakota. 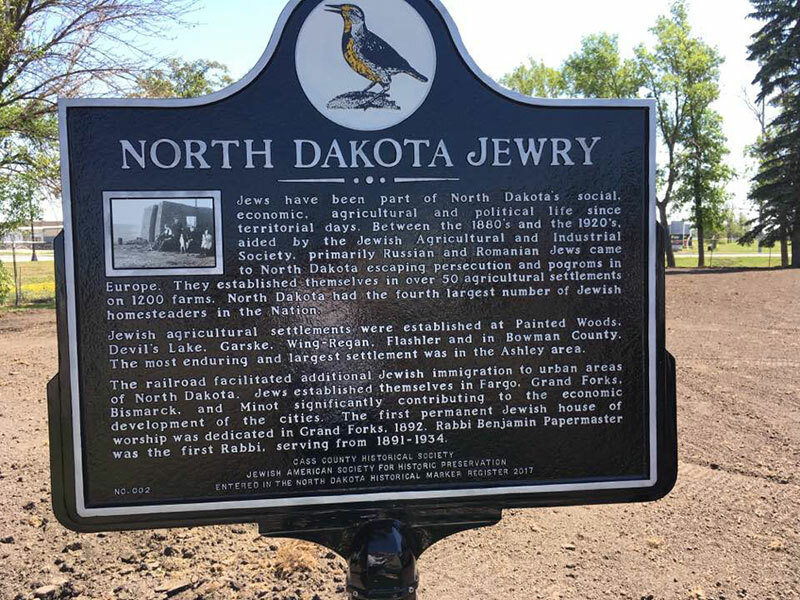 Jews have been part of North Dakota's social, economic, agricultural and political life since territorial days. Between the 1880's and the 1920's, aided by the Jewish Agricultural and Industrial Society, primarily Russian and Romanian Jews came to North Dakota escaping persecution and pogroms in Europe. They established themselves in over 50 agricultural settlements on 1200 farms. North Dakota had the fourth largest number of Jewish homesteaders in the Nation. This marker was entered in the North Dakota Historical Marker Register as marker #2 in 2017.